Members of their CSA get wonderful, fresh vegetables all season and they get to support youth in their community as they learn about sustainable agriculture. ¡Cultiva! is a youth operated organic farm. 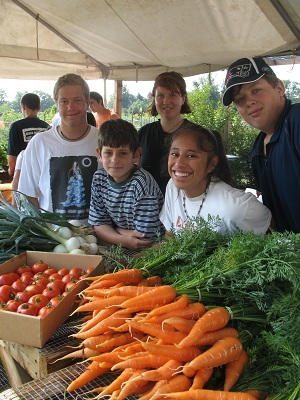 Participants ages 12 to 19 plant, nurture, harvest, and sell their produce shares weekly to CSA (Community Supported Agriculture) members. Hands-on experience and activities teach youth how to care for and protect the environment, operate a small business, and create positive change for the community, the environment, and themselves. We're thrilled to offer some ad-ons to our members this year. Ad-on registration information will be sent to via email to our members. $550 $25.00	 Produce Cultiva! CSA Share 22	Weeks	 No Feeds 2-4 people. Includes $500 for the share and a $50 tax deductible donation to Growing Gardens. Reviews of Cultiva are below. All comments will be moderated, so please keep them helpful. Did you like your experience? Was the farm clear about expectations? Did the farmer deliver on his or her commitments?